We filmed this at Slaid Cleaves’ home in Wimberley, Texas. My old school Austin friends will enjoy hearing Slaid talk about Butch Hancock’s old store, Lubbock Or Leave It. If you have any stories about Lubbock Or Leave It, please post them in the comments because I’d love to hear them. Slaid also told a story about his father’s guitar. Slaid’s wife Karen, made us a seriously great breakfast. She even made homemade bagels and they were easily the best I’d ever had. She should get a trophy or something. This is the second episode in this series. If you enjoy this or any other episode, please share it with someone. It’s not easy to get the word out and I need all the help I can get. The short version: I made this video while visiting a few Robert Johnson sites in the Mississippi Delta. There’s a lot more to it than that, but this is the short version, after all. The long version: For the last few months, I’ve been secretly working on a new project called Old Weird America. After much consternation, I’ve decided today is the day to set it lose into the wild. It’s a video journal of my travels, featuring some of the people and things I care about. Like most everything else I do, this is a completely DIY project, held together with duct tape and good intentions. My buddy, Todd Fox, helped film this and I’m doing everything else. (Neither of us know anything about any of this.) It’s a ton of work, I’ll probably lose a lot of money and maybe even make a fool of myself. That’s usually a recipe for something worthwhile. Look for one episode a week for the first five episodes and then settle into one episode a month. If you dig it, please share it with somebody. I’m gonna need a lot of help getting the word out. I’ll post more info in the comments down below, if you’re into that sort of thing. I’ll do my best to tell some good stories and keep you entertained. This is the story of how a professional wrestler fought to desegregate a Memphis auditorium. Sputnik Monroe was a “bad guy” or “heel” who wrestled in Memphis in the late 1950s. It was his job to make wrestling fans hate him so much, that they would lay down their hard earned money to see him get beat by the “good guy.” He was so good at his job, that thousands of people paid to see him wrestle every Monday night at Ellis Auditorium. When he wasn’t wrestling, he was hanging out with his friends in the cafes on Beale Street. Sputnik was one of the few white people that you’d find on Beale Street and his friends were all black. He was often arrested for the crime of being a white person who would dare to drink in public with a black person. This was scandalous at the time. When his day in court arrived, he was the first white person in Memphis to be represented by (his friend) a black lawyer. This was even more scandalous. It became common knowledge among the African American community of Memphis that Sputnik Monroe was alright. When his black friends came to see him wrestle, they were forced to sit in the balcony, while the whites sat in the good seats down below. When Sputnik entered the ring, a huge round of cheers would rain down from the balcony. This would make the white folks hate him even more. Sputnik one day confronted the promoters and told them that he would refuse to wrestle unless they allowed his black friends to sit anywhere they wanted. The promoters realized that Sputnik was making them a ton of money, so they gave in to his demands. This lead to the very first desegregated sporting event in the southern part of the United States. All of that because a professional wrestler was willing to take a principled stand. Imagine what the rest of us might be capable of. I think more people should know about Sputnik Monroe, so I wrote this song. Please share this with anyone who might be interested. I need your help to get the word out. You can listen to Mount Renraw in it’s entirety on the player below. Please help us spread the word by sharing this with your friends and/or including Mount Renraw on your next Spotify playlist. Musicians, journalists and historians sharing memories, backstage stories and history lessons. There’s no music, just lighthearted storytelling. Subscribe on iTunes for new episodes as soon as they’re available. 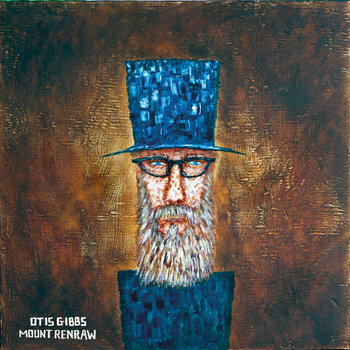 Otis talks about visiting the graves or William S. Burroughs, Bob Wills, Sam Kinisin, Gram Parsons, Mozart, Falco and more. Jason talks about his old friend, Jack Emerson. Jack helped kickstart the careers of Jason and the Scorchers, the Georgia Satellites, John Hiatt, Webb Wilder, Sonny Landreth, Steve Forbert and many others. The Time Jumpers’, Andy Reiss has played on thousands of sessions. 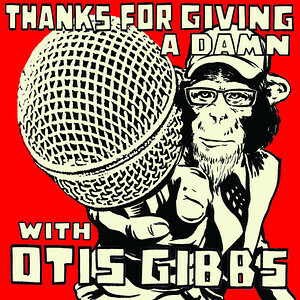 On this episode, he shares the story of his first session in Nashville with the great, Slim Pickens. David Grier is a 3 time IBMA Guitar Player Of The Year and he talks about how the great, Clarence White befriended him when he was a kid. Pytten shares stories from the early days of Black Metal in Bergen, Norway. Kenny Vaughan talks about Denver in the 60’s and 70s and the iconic music venue, Ebbets Field. Indianapolis Star journalist, Dave Lindquist talks about witnessing a tragic stage collapse at a Sugarland concert in Indianapolis. Reggie Young talks about touring and recording with Johnny, Waylon, Willie and Kris: The Highwaymen. Bill DeMain Is the co-author of Sgt. Pepper at 50. Bill shares some wonderful stories about the making of the most recognizable album artwork of all time. Ray Wylie Hubbard talks about the time Ringo Starr played Snake Farm to Joe Walsh and the friendship that followed. Dean Metcalf talks about the painting John Mellencamp gave to the Bob and Tom Show and the strange story surrounding it.